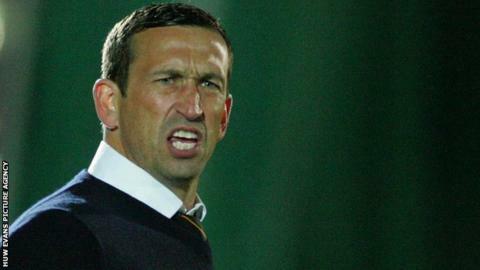 Justin Edinburgh has warned Conference leaders Newport County against complacency ahead of struggling Ebbsfleet's visit to Rodney Parade. Newport top the table with nine wins from 13 games while Ebbsfleet are one place from bottom with just two wins. But County manager Edinburgh is concerned his players do not display any over confidence. "It's a game we have to be very wary of," he insisted. "Ebbsfleet will be coming to make it very difficult. "I do expect a very tough game because I think the squad there hasn't got the result they probably deserve. "We are fully aware of every game we have played in this season we have had to be at our best and earn the right to win the game. "Sometimes these kind of games can be the ones you can come unstuck in. "We always see some strange results in this league and what we have to make sure [tonight] is not one of them." "It's certainly a game we want to go out and win - continue our unbeaten run at home and try and keep our noses in front at the top if the league." Newport have taken 14 points out of a possible 18 in their last six games including Saturday's 2-1 victory at Tamworth. "The players are very confident at the moment and rightly so because they have earned the right to be at the top," said the Newport boss. Aaron O'Connor scored his 10th goal of the season during the Tamworth win but also suffered from cramp, although the striker is expected to be fit. Edinburgh will also have fellow forward Jake Harris back and midfielder Lee Evans returns after missing the last two games with a hamstring injury.